I always had a strong numerical aptitude. This does not mean that I was good in mathematics – but numbers get imprinted in my memory very easily, especially phone numbers and birthdays. So in days before contacts could be synced with Google accounts, when losing one’s phone or diary would mean havoc for most people, I would not be affected much. I knew most numbers by heart, and anyways was not dependent on any kind of record. Once I lost a smartphone too – but I did not know about syncing with Google and all my contacts were gone. However, I could manage reasonably till the time I could restore my phonebook. And this is not true for phone numbers alone. Let me share a story: While preparing for an exam, my friends and I had gone through a mathematical problem with randomly assumed values. While revising, I said that I had grasped the process till the value came out to be 4148.43 and requested a friend to explain after that. Much to my surprise, I saw they were looking at me critically. “Why would you memorize random values?”, they asked. I couldn’t convince them that figures get imprinted in my mind effortlessly. My mind can process simple calculations easily as it can almost visualize them. This is useful even today, and comes in handy at times. it sounds like you have a photographic memory but with numbers which is extremely useful. I'm the opposite, I can't remember long numbers, not even phone numbers, it's terrible especially when people ask me for my phone number and have to dig it up. You're lucky. There's probably a term for this kind of memory, but I have no idea what it is. It's good that you can make use of it. 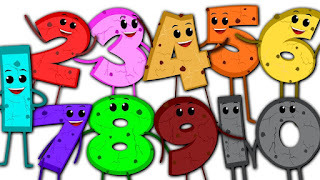 What an amazing ability you have to remember numbers! I usually can remember my own phone number, but very few others unless I dial them myself on a regular basis. I received a new phone number at work about a year and a half ago after having the same number for nearly 15 years, and I still can't remember it!